These birds called tanimbar cockatoo because this bird only found in the Tanimbar Islands, Maluku, Indonesia. Tanimbar cockatoo has a body about 32 cm long. The bird has white hair and pigtail. Similarly, eyelids, bluish white. While this bird has a pink feathers above the beak. The spread of these birds there are only (endemic) in Tanimbar Islands (Moluccas) and its surroundings, namely in Yamdena, Larat, and Selara Island. Tanimbar cockatoo populations in the wild is estimated that more than 200,000 individuals. Is steadily decreasing because of deforestation and the number of arrests, both for trade and as well as plantations security because the bird was regarded as a pest of corn. Cockatoo species are protected under Indonesia Government Regulation No 7/1999. 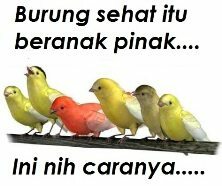 Versi bahasa Indonesia artikel ini bisa dilihat di halaman Burung Paruh Bengkok Langka.